From the co-founder of the yoga method that launched yoga into the mega-popular mind-body practice that it is today (the Jivamukti method), here is a simple guide to developing your own individualized daily spiritual practice for greater peace and well-being. 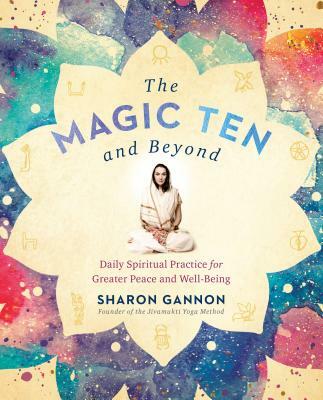 This powerful little book from legendary yoga teacher Sharon Gannon shows readers how to design their very own daily spiritual practice, incorporating yoga poses and practices, meditation, blessings, and other spiritual practices, to begin one's day in a positive and life-affirming place. While many people experience yoga only in yoga studios, Gannon explains that it is highly beneficial to have a private spiritual practice that can be done at home. Replete with how-to instructions on the ten simple yoga poses Gannon recommends readers do for health and flexibility, as well as guidance on meditation, blessings, and awareness exercises that can be added to the mix, this book will help readers infuse their day with greater focus, compassion, and joyfulness. Sharon Gannon is a twenty-first-century Renaissance woman, animal-rights and vegan activist, and a world-renowned yogini, author, dancer, poet, musician, and producer. She is currently a teacher at Jivamukti Yoga.